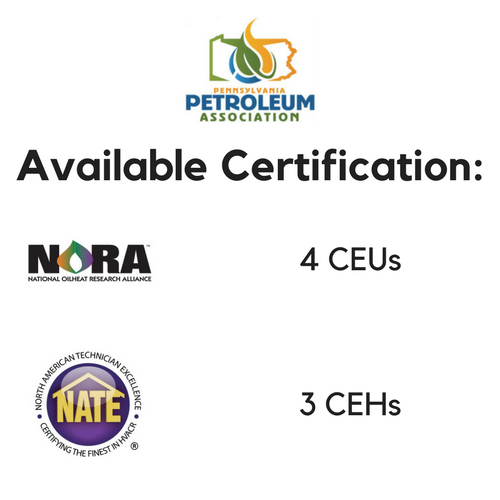 Discounted price is for PPA members, PPATEC members, or petroleum marketers who deliver fuel oil in the state of Pennsylvania. Full ticket price is for companies/individuals who are not currently PPA members, PPATEC members, or petroleum marketers who do not deliver fuel oil in the state of Pennsylvania. With today’s high energy costs, efficiency is more important than ever. Riello is always at the top of combustion efficiency ratings and is being used by more and more equipment manufacturers. Learn the ease of installing and troubleshooting Riello burners. Lunch is provided for attendees at no additional cost. Our Instructor: Joe Sacco graduated from Hudson Valley Community College and began work as a Senior Service Technician at Main Care Energy. He later became an outside Sales Rep at Comfort WinAir. He currently is an area manager at Riello North America.